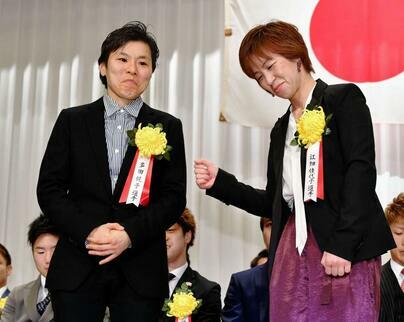 Earlier today the Japanese Boxing Awards honoured a number of fighters and fights. One of the Fights that was honoured was the WBO female Mini-Flyweight title bout between Kayoko Ebata (12-8, 6) [江畑佳代子] and Etsuko Tada(18-3-2, 5) [多田悦子]. The bout, which was held on December 1st and shown on demand on ‘Boxingraise’, won the Best female Fight award, and saw the two women take the stage together.